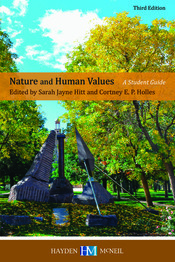 In its third edition, Nature and Human Values contains additional readings related to engineering ethics and an expanded chapter on the writing process, as well as new sections on listening and presentations. This textbook provides foundations in personal, professional, and environmental ethics for science and engineering students, as well as instruction in research, writing, argumentation, and oral communication. Containing readings as well as reference material, this book functions both as a handbook and as an anthology focusing on the social, cultural, environmental, and ethical ramifications of science and engineering.